Over the next two months, I am going to be presenting at a couple different conferences. At both of these conferences I’ll be presenting on connecting mobile clients to Windows Azure. MacTech is a 3 day conference in mid-October for Apple developers and IT Pros. The conference is split into two different tracks: development and IT. This conference is organized and ran by (you guessed it) the group that does MacTech magazine. On the development side talks will cover developing for OS X and iOS. IT talks go over how to support your company when you have Apple devices deployed. I haven’t been to MacTech before but judging by the buzz around the conference last year, it should be a lot of fun. I’ll be speaking about connecting iOS and Windows Azure Mobile Services. Mobile Services presents a great way to build iOS apps which allows developers to focus on what’s important: the client. In moments a developer can get a backend up and running which gives them access to data storage, server side scripting, user authentication, and push notifications. This is a really exciting technology and I’m pretty happy I’ll be able to start talking about it with iOS and OS X developers. Having just left Michigan, I hoped I’d be back soon. 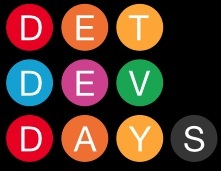 Thankfully I’m returning to attend the 1DevDay Detroit conference on November 17th. The Dev Days conferences are designed to help educate the software engineering community in and around Detroit, Michigan. This will actually be my second year of speaking at the 1DevDay conference. Last year I spoke on Android’s Cloud to Device Messaging framework. This year I’ll be speaking on developing Android and iOS clients with Windows Azure Mobile Services. If you haven’t picked up on theme yet, it’s that Windows Azure Mobile Services are totally amazing and you should check them out if you haven’t already. If you’re going to be attending either of these conferences, be sure to stop by and say hi. Also, if you have any questions about Windows Azure, the Cloud, or mobile apps, let me know.